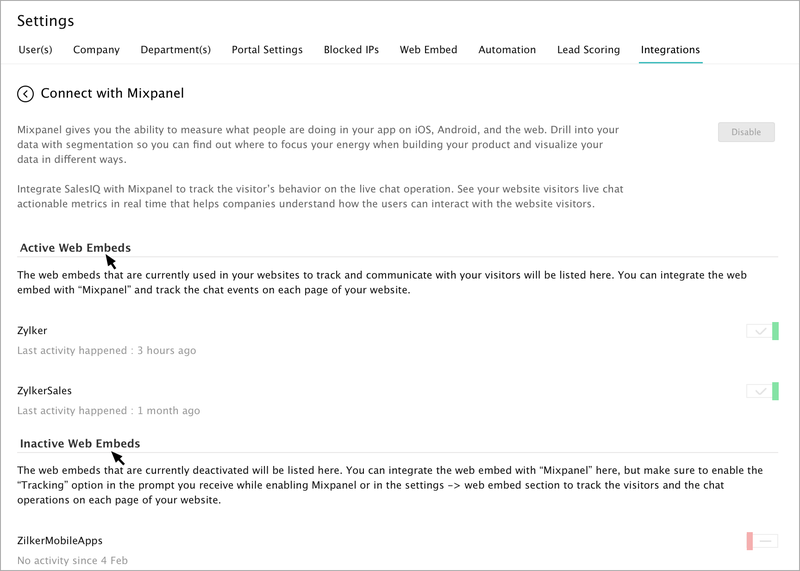 Zoho SalesIQ joins with MixPanel to track the visitor’s behavior on the live chat operation. See your website visitors live chat actionable metrics in real time that helps companies understand how the users can interact with the site visitors. 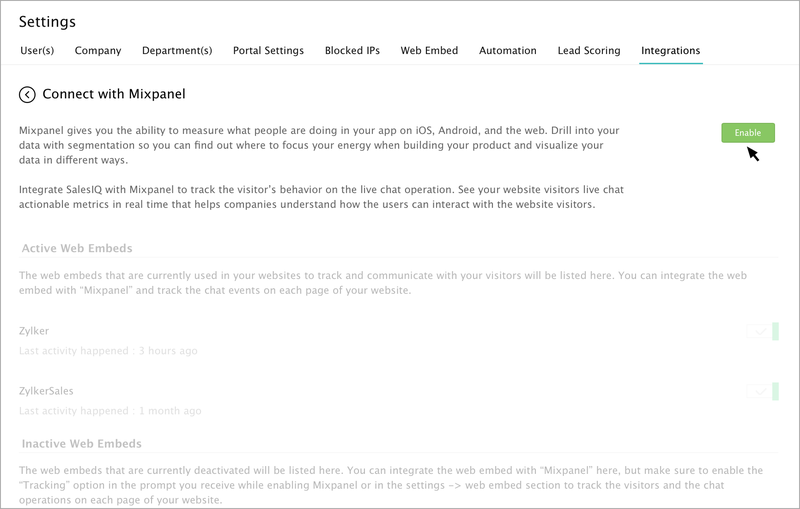 This integration allows you to keep an eye on your live chat conversions and events. Once you have pasted the Zoho SalesIQ script into your webpages, the script will automatically detect the MixPanel code available in your website. If everything is in place, Zoho SalesIQ will start reporting events to your MixPanel automatically. All you have do is enable MixPanel in the embed settings. Once you have pasted the Zoho SalesIQ code into your website follow the below instruction to enable the integration and to push your live chat events data to your MixPanel dashboard. Go to Settings -> Integration tab, select MaixPanel. In the Connect with MixPanel page, click Enable button. What are the events tracked in MixPanel? 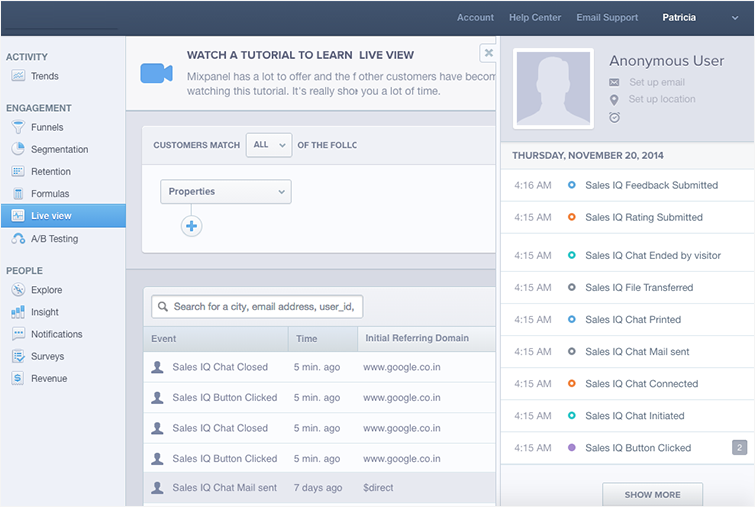 Accessing your Zoho SalesIQ live chat visitor events in Mixpanel. Log in to your “Mixpanel” account. Click “Live view”, and select the visitor, which you would like to see the events. 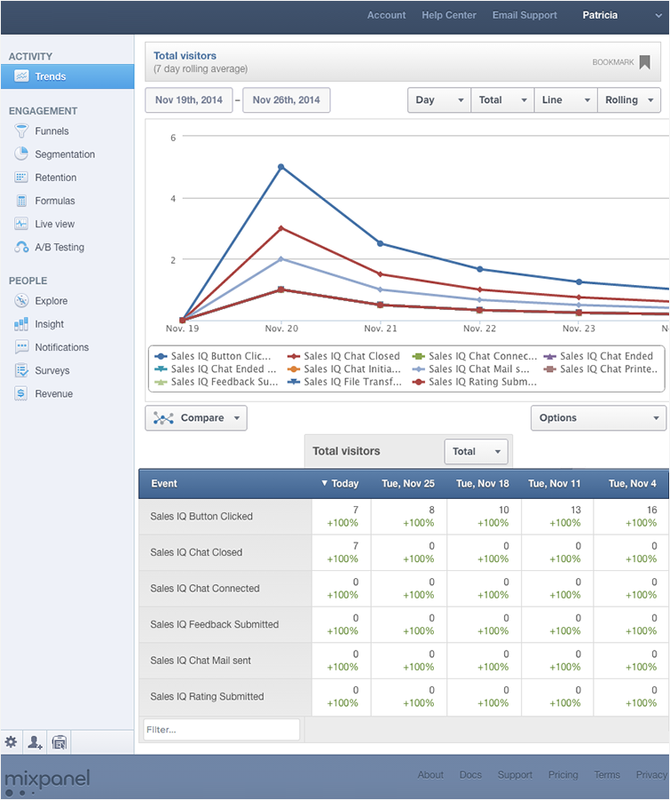 How to see the live chat events in real time in Mixpanel reports? Click on the “Trends” tab. You will be displayed with all the events in graphical and tabular from choose the options to have the customization of your own.